Many organisations with highly valuable and sophisticated expertise find there is a gap when it comes to delivering this knowledge to their audience in a way that is both accessible and engaging. Bloomsbury Content Services bridges this gap by working with the world's leading writers, storytellers and experts to produce curated content that is insightful, authoritative and delivers impact for your audience. 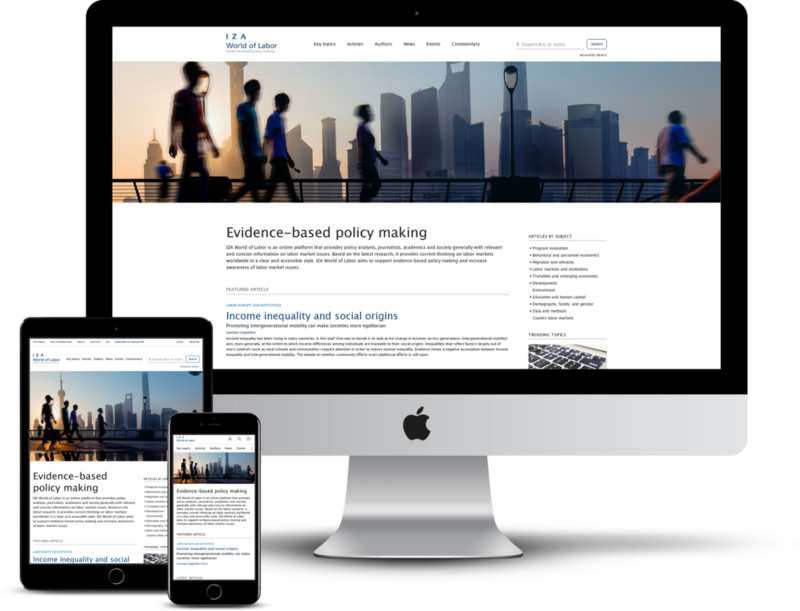 IZA is an independent economic research institute that conducts research in labor economics and offers evidence-based policy advice on labor market issues. Supported by the Deutsche Post Foundation, IZA runs the world's largest network of economists, whose research provides answers to the global labor market challenges of our time.